New York - Stocks and currencies in emerging markets extended losses after the Federal Reserve raised interest rates and upgraded its forecast to four hikes in 2018 – moving further away from the era of cheap money that has bolstered riskier assets in the past decade. Twenty out of 24 developing-nation currencies tracked by Bloomberg retreated as the US dollar extended gains into a third day. The Argentine peso tumbled as the impact of the finance ministry’s announcement to sell as much as $7.5bn (about R99.9bn) in the foreign-exchange market was short lived. Meanwhile, the Brazilian real trimmed its decline after the monetary authority called for a third swap auction to bolster the currency. The MSCI Emerging Markets Index of equities halted a two-day rally, led by energy and consumer shares. Traders pushed down the value of emerging-market assets as signals of a slightly more aggressive pace of Fed hikes shows officials see more urgency to tighten policy. 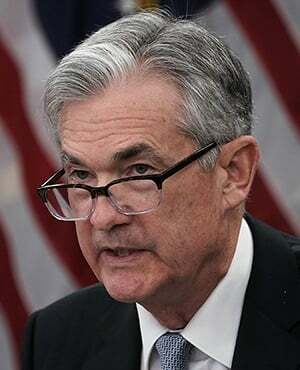 “It’s hawkish,” said Win Thin, the global head of emerging-market strategy at Brown Brothers Harriman in New York, referring to the Fed announcement. “Emerging market currencies should remain under pressure." The expected interest-rate arbitrage over the next month is falling for many currencies as higher US interest rates narrow yield premiums. That’s not all. Surging volatility is narrowing returns when the carry trade is adjusted for currency swings. An index that tracks emerging-market currencies fell below its 50-week moving average on Wednesday for the first time since December 2016 – a sign to some analysts that the gauge is set for more losses. The measure has fallen in all but two weeks this quarter after the dollar’s advance exposed just how little some central banks have done to deal with monetary issues. Looking ahead, traders may have other policy hurdles. Some investors see Thursday’s European Central Bank decision as a bigger risk for developing-nation currencies than the Fed as they say President Mario Draghi may signal he’ll start dialing down a bond-buying program. The threat comes earlier than anticipated and potentially spells the end of the easy-money days that drove flows into emerging markets after the financial crisis, patching over their current-account deficits.